I have always tried to make my way up to New York for the occasional tasting since New York is the center of the wine trade on the East Coast (one could easily argue that it is the center of wine for the entire country, but I did not want my friends in California to get their hemp underwear in a bunch). I would feel guilty, too. A great day to drink some rosé! So, with only a few months left in civilization*, I have certainly been taking advantage of this freedom as was the case back in February when I went up to Chelsea to attend the media tasting of La Nuit en Rosé, described as a “special winter rosé tasting.” Since I am a firm believer in drinking rosé year-round, I figured I needed to walk the walk and brave the sub-freezing temperatures forecasted in the city that day. The main reason I was heading up was to taste the wines of Château d’Esclans, one of (if not the) premier producers of rosé in the world. (I have tried their über popular Whispering Angel, but I have never sipped their upper end wines like Garrus, which runs $80-90 a bottle.) Some of you might think that trekking up to New York to taste a couple of rosé wines in the middle of February in the middle of a snow storm is a bit extreme. Well, to put it simply, if you think that, you would be, in a word, right. It was not my the best idea I have had while on this planet, but it was far from the worst. The plan for the day was fairly straight-forward: get up to the city fairly early, find a café and do a bit of writing, then head over to the tasting at noon, mill around for a bit, hopefully run into someone I know who would then inform me of another tasting or two to crash, and make it back to the station in time for my late train. Everything was going according to plan as I queued up to get into the rosé tasting shortly after noon, grabbed my glass, and made a beeline for the Château d’Esclans straight away. There was no one there. Nobody. I quickly scanned the room of 20-30 producers and every booth had at least one representative, but most had several, pouring wine and chatting up the soon to be hordes of media types looking to taste some pink wine. There were bottles of wine on ice at the Esclans booth, and there was even some literature about the wines, but there was not a soul to be had. So I worked the room a bit, tasted a few of the less than inspiring other wines in the room, and then swung by the Château d’Esclans booth again. Still no one. This time, however, there were a few more people standing there with their proverbial finger up their nose looking around for someone, anyone, to pour them some rosé. At $50, this is a bit steep, but well worth it, in my opinion. Instead of standing there and looking like an idiot, I headed over to grab some of the outstanding food that was being served at the event. When I came back to Esclans, the booth was still devoid of any representative from the winery. The big difference this time, however, was that a few of my media colleagues had decided to open up some of the bottles and serve themselves. Why? Well, the booth was quickly degenerating into a bit of a free-for-all with still no one there an hour into the event. Well, I know what I did. I jumped behind the booth and started pouring wine for people. Getting it done at the Château d’Esclans booth. I explained to Pierrick the situation and told him that even though I was far from an expert on the wines, between the literature provided, my iPhone, and my previous knowledge of the wine, I was managing to present the wine that deserved to have some representation. Satisfied, he left, telling me that he had already called and that there would be someone over in a few minutes to pour the wine. The top of the Esclans line. Not everyone enjoyed this oak aged beauty, but I was digging it. An hour later, Pierrick was back, but there was still no representative from the company. At this point, the booth was 3-4 people deep as I had found “the good stuff” behind the booth and apparently the word had spread. This entry was posted in Rosé, Wine. Bookmark the permalink. 25 Responses to What Would You Do? wow. A double wow – both on unattended booth of probably the highest ranking producer at the event, and on the clueless person showing up to pour the wines 30 minutes before the event it done. wow and wow. Provence tasting which I attended last year had the best format ever – all the wines were set on ice in the middle of the long corridor, and it was, essentially, the self-pour event with representatives available to chat on a side, but people been able to pour for themselves. I really did like the Garrus, but I would say I was in the minority. The oak really adds some heft to the wine, which is not usually what people look for in a rosé. I have been screaming for a while now that rosés can and should be looked at as a more serious wine and the Garrus underscores that point (but you are right: $80+? Yikes.). I actually did know that and I put it in there to bait you Texans! Ggggrrrrr…. Just wait! I give you 5 years and you will be hooked! It is the greatest state in the US. I realize that more and more as I travel abroad. It’s amazing how much the French love Texas. However, as far as the wine capital of the US I completely agree with you…you will miss all the events that come through New York. Surely a case of Garrus is in your future by way of a Thank-you? You saved the day and no doubt only heightened the cachet of the d’Esclans pouring station. Expect to find yourself deluged with requests to help set up and pour! A case of Garrus? Hardly. I think you need to be the PR person in charge of the brand! From your lips to their ears, Jeff! Yeah, apparently, they did not realize that there was a press tasting that afternoon…. Tell the truth…by “pour” you mean dumped Garrus in your mouth?? I love this story. I tasted the Château d’Esclans lineup in Chicago at a Vins de Provence tasting (excellent event, btw) and someone from the local distributor was pouring. He actually said to me something like “didya stop by to taste the most expensive bottle here?”… do I detect notes of irritation? A profile of crass? Maybe you’ll get hired instead! Gorgeous wines to share & enjoy, though. I’d do it too….can I pour you another glass? Hell, make it two…it’s on me. There were a total of six bottles of Garrus for the whole weekend (four total tastings I believe), which I did not know until later at the VIP tasting. Let’s just say there was not a whole lot of Garrus left to pour that evening and I was doing a lot of “quality control” during the trade tasting! Oh and nicely done at the event. I dunno. I have lived in the Bay Area and I have spent countless nights in Paris. 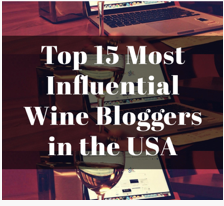 New York gives them both a run for their money when it comes to wine…. You handled it perfectly! Except I hope you kindly declined to take the young woman’s picture to “prove she was there.” Maybe her boss needs a note so he can hire some much more enthusiastic representation for his beverages. Good work! I was a bit floored by the request, but having said that, she was very nice, just a bit vapid. Good for you to throw on your super-hero cape and save the day! Super-hero? Not really, just super-thirsty! Thanks–I do need to get a few of those in my daily repertoire, I reckon (does that one count?). When I moved to Texas I bought a couple of Texas dictionaries. I still have them and they still make me laugh. Want them? Stuff like “far” – light the “far” in your “far”place. My secretary asked me if I favored my mother and I had no idea what she was saying. It will be an experience. But I really love Texas. Yeah, a case would have been nice. Would have….